Give a High Five Today! Donate a High Five today and share a SMILE! 100% of your donation supports the FREE cancer and grief support programs at Gilda’s Club Grand Rapids. DTE Energy is excited to be the presenting sponsor for the High Five Campaign, matching each gift (up to $50,000), and turning your $5 donation into $10! 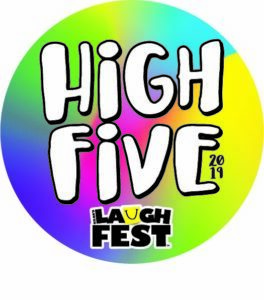 Make a donation to support the free programs offered through Gilda’s Club Grand Rapids right here or by purchasing a button at LaughFest events. Your gift is tax-deductible and 100% of your gift stays in our community. Participate in our corporate High Five challenge day. For more information on our corporate challenge please contact LaughFest Sponsorship Manager, Mitch Neubert at mneubert@laughfestgr.org. Setup a High Five fundraising event through your school, church, athletic team, business, etc. Ready to start? All it takes is five minutes and five dollars. Click the “Add to Cart” button below to donate now. 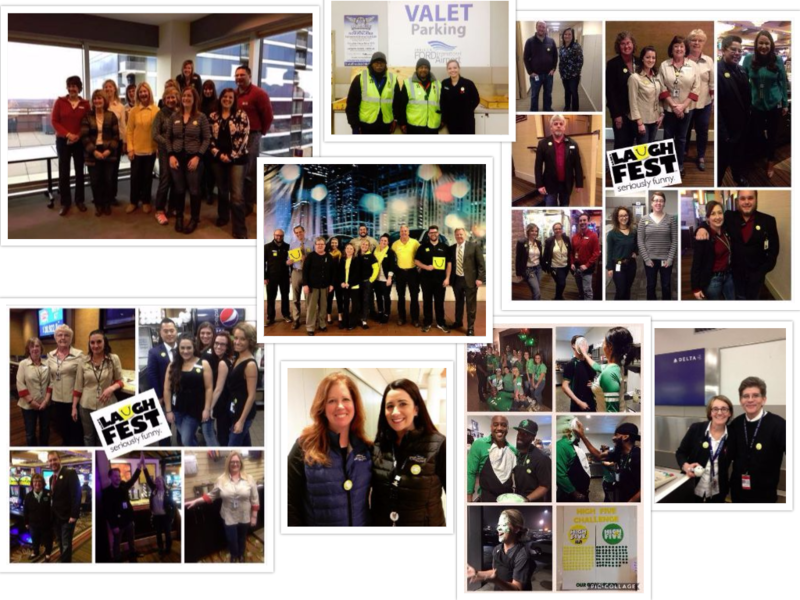 Learn more about how LaughFest and Gilda’s Club use your donation to impact and help our Grand Rapids community by watching this quick video.